Lock in a great price for Hotel Oasis – rated 8.2 by recent guests! Very friendly staff at the restaurant. Very good food. Breakfast on the patio, looking over the Sea of Cortez was awesome. Breakfast was weak, small fruit plate, one piece of toast, coffee; very basic continental breakfast. The location was good. One of the few hotels at end of Malecon that has direct beach access. Rooms were large. Hot water available in shower. Good pool. Clean bed sheets and towels. Wonderful breakfasts, eating outside. Relaxed atmosphere. Inexpensive, secure parking, close to the central plaza, plenty of hot water, great staff, nice view. Very clean and tidy. A little dated but they work very hard keeping it beautiful. Location was amazing. On the beach and walking distance to pretty much everything. The food was good. The location was amazing and staff was great. Hotel Oasis This rating is a reflection of how the property compares to the industry standard when it comes to price, facilities and services available. It's based on a self-evaluation by the property. Use this rating to help choose your stay! 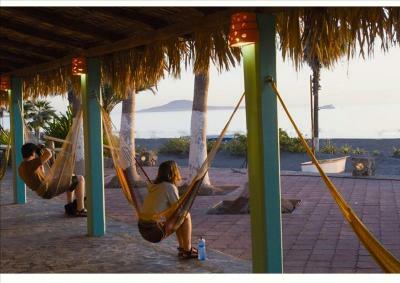 One of our top picks in Loreto.Hotel Oasis is in Loreto Beach, a 10-minute walk from the Plaza Civica Main Square. 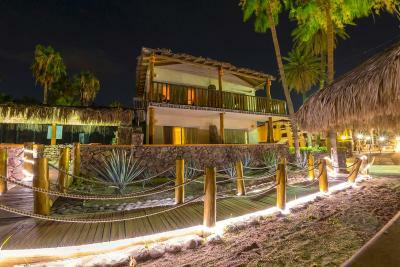 It features a private beach area, a beach club and an outdoor swimming pool. 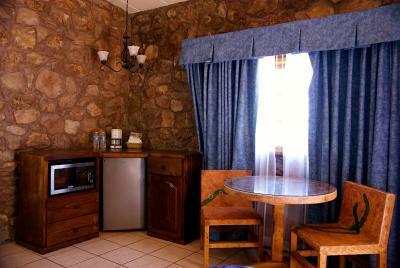 The rooms have basic décor, a desk, wardrobe and pool views. 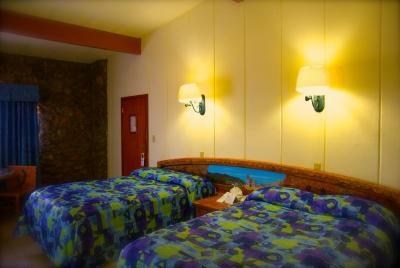 Some of the rooms come with cable TV and the bathrooms are private. 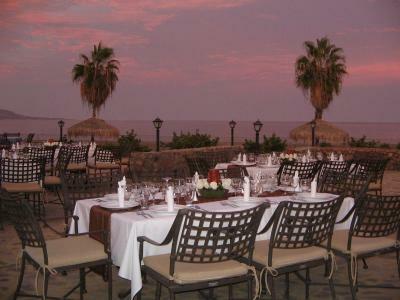 The on-site restaurant bar at Hotel Oasis serves international cuisine and local dishes. There is also a pool bar where guests can find a variety of drinks. Free Wi-Fi is available in public areas. Hotel Oasis can arrange activities like kayaking, snorkeling, sports fishing and tours to the Coronado Island a 30-minute boat trip away. 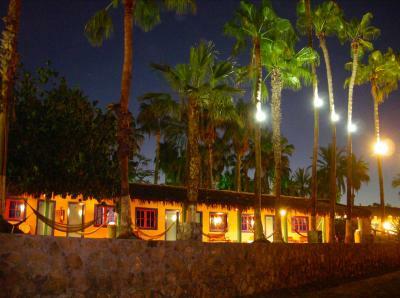 This hotel is 500 feet from Mision de Loreto place and from the Misiones Museum. 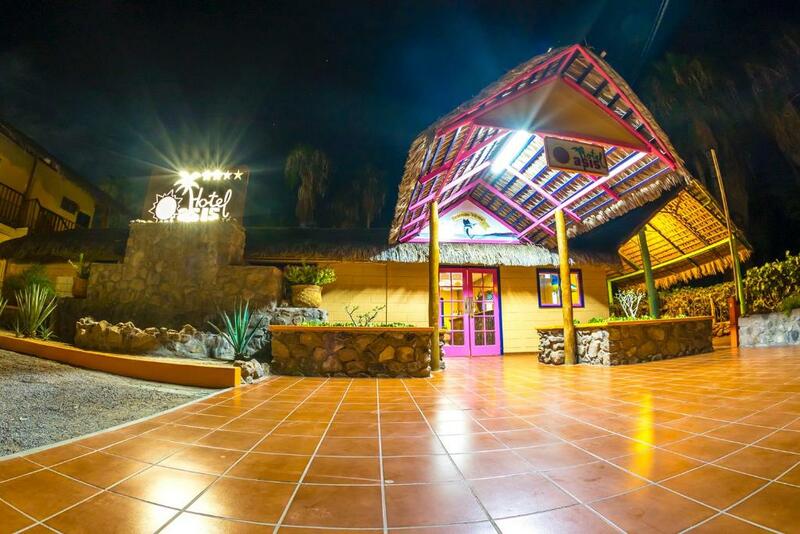 Loreto International Airport is a 20-minute drive away. When would you like to stay at Hotel Oasis? 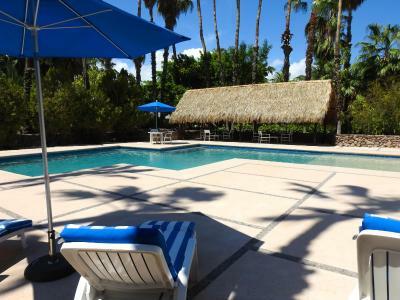 This room is in the pool area and features 2 double beds, air conditioning, private bathroom with shower, cable TV and a patio with garden views. 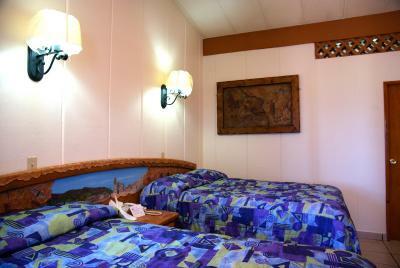 This room features 2 double beds, air conditioning, private bathroom with shower, cable TV and a patio with sea views. This suite features 2 double beds, air conditioning, heating, telephone, fridge, private bathroom with shower, cable TV and a patio with sea views. House Rules Hotel Oasis takes special requests – add in the next step! Hotel Oasis accepts these cards and reserves the right to temporarily hold an amount prior to arrival. Rooms very spartan. One chair per room. No safe, no amenities like coffee pot. WiFi was not available in my room. There was no microwave or refrigerator. They were brought when I requested them. MisRepresented !!! “...breakfast Included”. Not true !!! all they would provide was A “Continental Breakfast” which was a single piece of toast - 8 am cubes of papaya of pineapple and a coffee- no alternative ( Neither of us drink coffee). Wifi doesn’t work in or near Rm #8 . They demanded they run my credit card upon arrival for $20,000 pesos to check in ( my total was to be $800usd for the 5 days. 😞. love Loreto but won’t come here again. The hotel is old and basic. Bed linens are ok but not great. The hotel doors stuck and were very noisy, especially with fishermen getting up early. Location of the room was a sea view but also right next door to The hotel Restaurant. You could hear people dinning until quite late at night and people walking past could see into the room. Luckily we were up early the next morning so we didn’t get woken up by breakfast. Room was comfortable, beds were good and staff were excellent. Older hotel, so looks run down: cracks in wall, peeling paint. Hard water crust on the shower head. Hotel advertises wifi in the rooms, but we were not able to connect to wifi at all (room 20) during our stay, even after we reported the problem to reception. Walls are paper thin - we could hear the man next door snoring loudly all night long! Restaurant is understaffed. My booking said breakfast was included but the hotel did not honor that and I was told I had to pay for breakfast. On my last day, I waited for over an hour for breakfast that never came and when I asked about delay, I was told the kitchen was short staffed, yet a person who sat down after me was served with no delay. I finally had to get up and leave and find food elsewhere. On another occasion at the lounge, I went up to the bartender and before I could even order, he said in Spanish "I am busy right now, can't help you". I think the hotel needs to invest in training their staff to be a bit nicer. 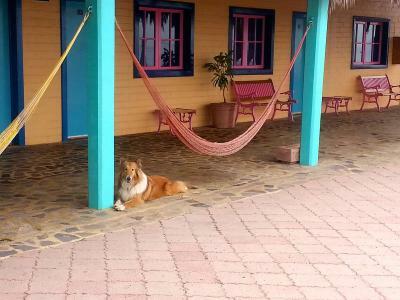 Awful breakfast, uncomfortable rooms, dusty hammocks. It should cost at least twice less, than actual price. Cold water in the pool. Real cold. Eggs were cold, some rooms are noisy, bathrooms are covered in hair, showers are terrible.